Oh my, this Monday started off rough, but I still made it (see what I did there?!)! Sadie got spayed today. I'll admit it. I cried when I took her. I. Am. Pathetic. I just got off the phone with the vet though and she did great! I can't wait to get her tomorrow! To add on to that, Jasper has been sick so after dropping Sadie off, I went home and picked him up and went right back to the vet. He has some meds and has been snoozing like a baby, hopefully feeling better. Anyway, there's a reason you're here! 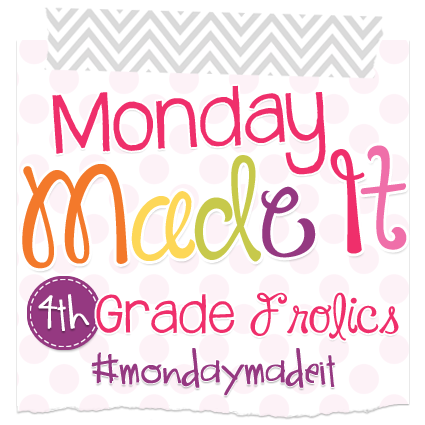 I'm linking up for my favorite linky party with Tara from 4th Grade Frolics. Check out what I made! I have table baskets. I'm sure a lot of you do. 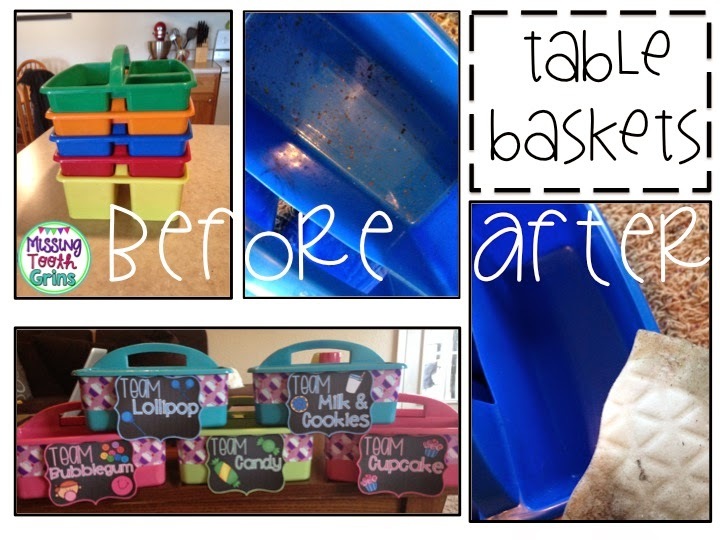 I bought my table baskets a few years ago at Target for only $2.50 each. I actually never needed to use them until this past school year. My tables had cubbies in each student's spot and so they just used that for their school supplies. My table baskets barely made it this year. Crayon marks and pencil marks filled those baskets. I was already really unhappy with them because they were ugly primary colors and they didn't match my room whatsoever. So, after some spray paint, duct tape, and magic eraser, they are prettier than ever! Also, I made those tags to match my classroom theme. My classroom is a Sweet Shoppe so they match perfectly! I have to say... Those Magic Erasers mean business. Without those, I never ever would've been able to get all the crayon marks off of these buckets. 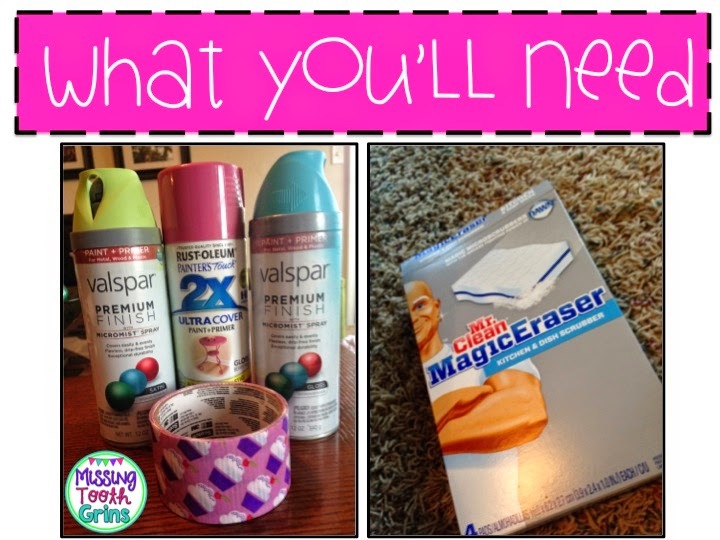 I would put stock in those Magic Erasers; that's how good they are. Do they do stock in Magic Erasers? They totally should. It's definitely the best product ever. Here's what I did: Scrubbed each basket with my amazingly awesome Magic Eraser. 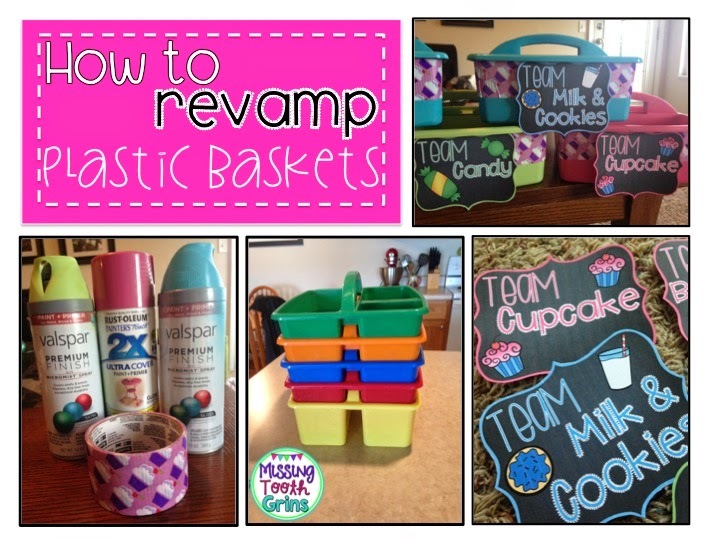 Then, I spray painted each basket. I am disappointed with how my pink ones turned out. That spray paint is not nearly as good on plastic as Valspar is... At least in this experience. Then I wrapped my duct tape around each one and then put the tags on! I actually need to laminate the tags still, but I can't do that until I'm back at school. Then, I'll hot glue them to the baskets. I hope you like them! Happy Monday to you! These are adorable! 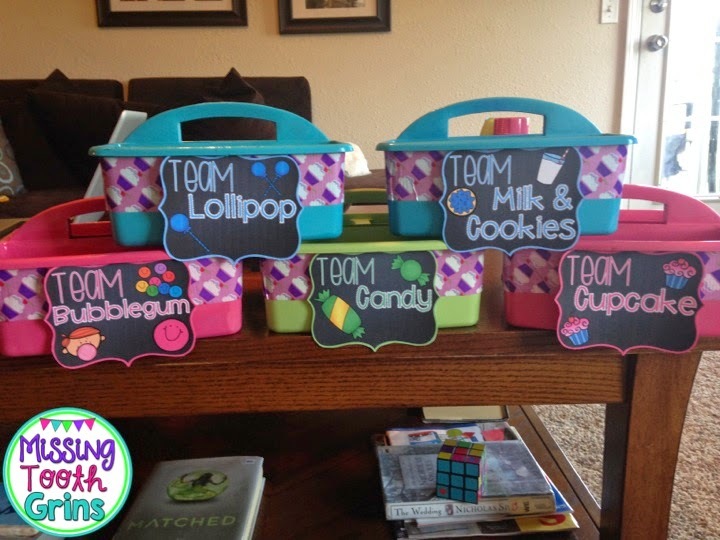 :) Love the team names, Alisha! Super cute!!! I love these. 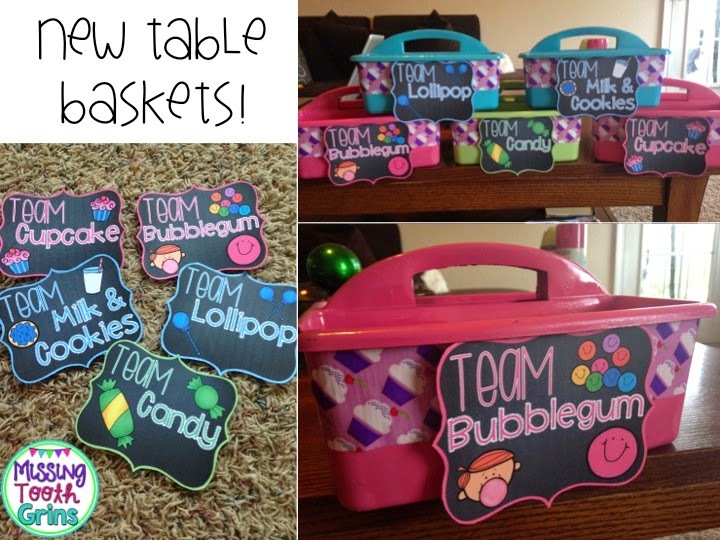 Your caddies turned out super cute!! I love Magic Erasers. I cut each one into fourths before using them since they seem to work only until the side of the eraser gets dirty. These are so cute! I have been meaning to revamp my table baskets. Last year I added a ribbon border, but I love the spray paint and duct tape. Adding this to my "to do" list. Thanks for the inspiration!